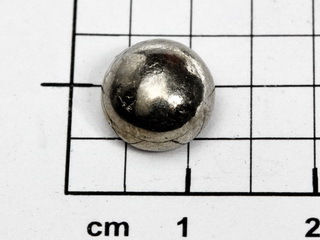 Discovered in 1735 by G. Brandt in Stockholm, Sweden. 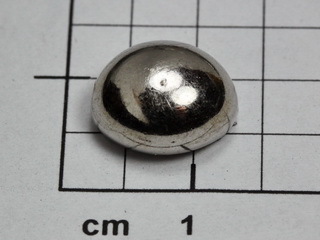 Cobalt is a hard, grey metal which is ferromagnetic. 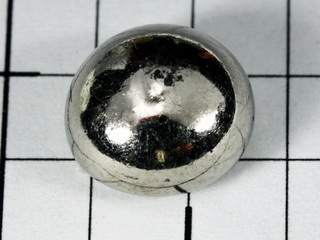 It is usually found in association with nickel in arsenical ores, its abundancy in the Earth's crust being 20 ppm. 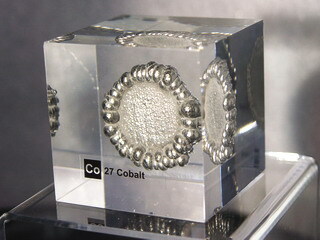 Cobalt is relatively unreactive, being stable in air and only slowly attacked by dilute acids. It does not combine with hydrogen and nitrogen but it does react with carbon, oxygen and steam at elevated temperatures, producing CoO in the latter cases. 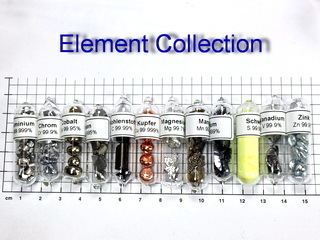 Cobalt salts (primarily cobalt aluminate, known as "Cobalt Blue", or "Thenard's Blue") have been known of and used for centuries to provide a blue coloration to paints and ceramics. 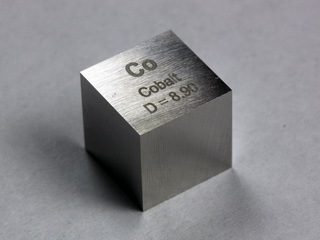 Cobalt alloys have good thermal and oxidation resistance, coupled with mechanical strength. 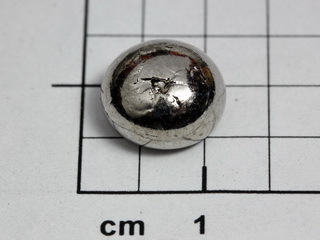 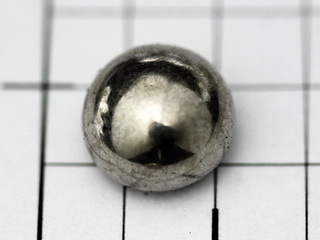 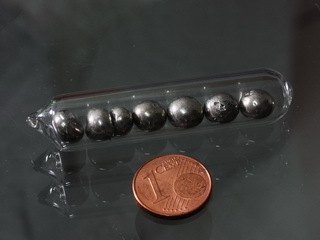 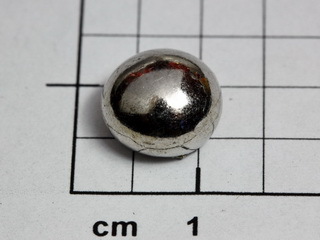 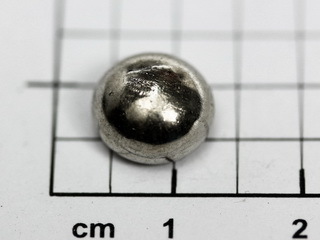 The metal is also used in electroplating and its radioactive isotope, 60Cobalt, is used in the treatment of cancer. 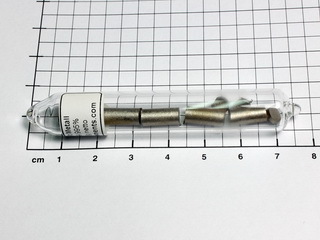 Nice Cobalt 2+ doped glass bead NEW!